Chapters Indigo has a hot one-day offer today! 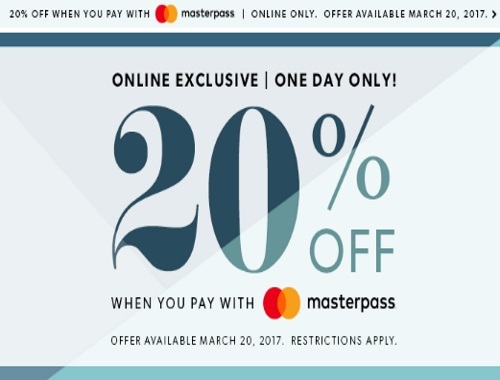 Save 20% off when you pay with your MasterPass today! Offer is valid March 20 2017 only, online only. Restrictions apply.